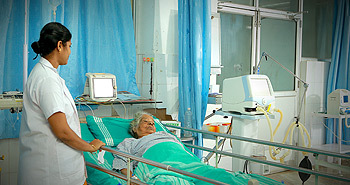 The CSI College of Nursing, attached to Dr S M CSI Medical College and Hospital, Karakonam was started in the year 2002. The CSI College of nursing is affiliated to the University of Kerala and Kerala University of Health Sciences. Recognized by the Indian Nursing Councill and Kerala Nurses and Midwives Council. Fifty students are admitted each year. The M.Sc (N) programme was started in 2010 with 8 seats sanctioned by INC and KNMC and affiliated to Kerala Universtiy of Health Sciences, Thrissur. The seats sanctioned were Mental Health Nursing, Child Health Nursing and Community Health Nursing. The Post Basic Diploma in Operation Room Nursing was started in 2013 with an intake of 10 seats and is affiliated to Kerala Nurses and Midwives Council. The faculty consists of Principal, Vice Principal, Associate Professors, Assistant Professors, Lecturers and Clinical Instructors having specialization in various subjects such as Medical Surgical Nursing , Community Health Nursing, Maternity Nursing, Child Health Nursing and Psychiatry Nursing. The College is having sound infrastructures as per INC norms. It has spacious class rooms, well equipped laboratories like Nursing Foundations lab, Community Health Nursing Lab, Maternal and Child Health lab, Nutrition lab, Computer lab and faculty rooms. Hostel-An aesthetic and harmonious environment in the hostel is provided for the B.Sc Nursing students. The syllabus framed by the Indian Nursing Council and accepted by the Kerala Nurses and Midwives Council and the University of Kerala is followed in the College of Nursing. Clinical practice is given in Dr. S.M.CSI Medical College and Hospital. Various evaluation techniques are used for the appraisal of the academic programme. Journal club is established and each faculty is presenting Journal Department wise and updating the knowledge.